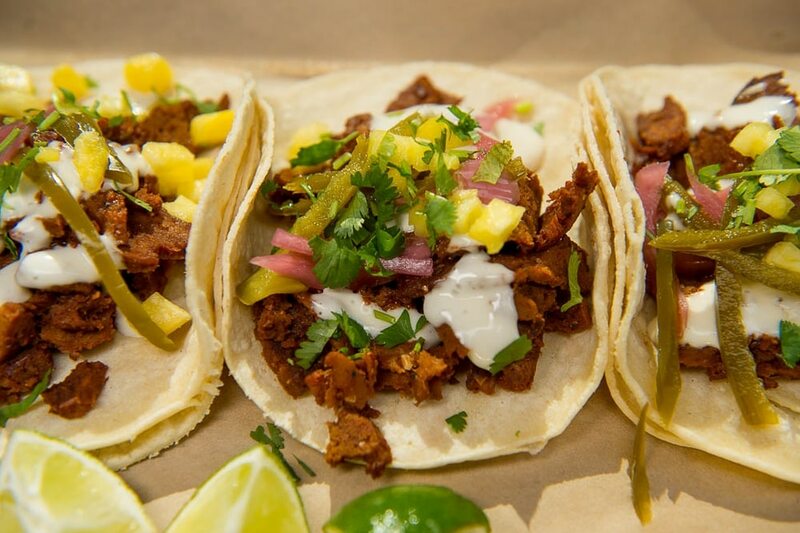 (Trent Nelson | The Salt Lake Tribune) Al Pastor tacos at Boltcutter, a new vegan/vegetarian restaurant in Salt Lake City. 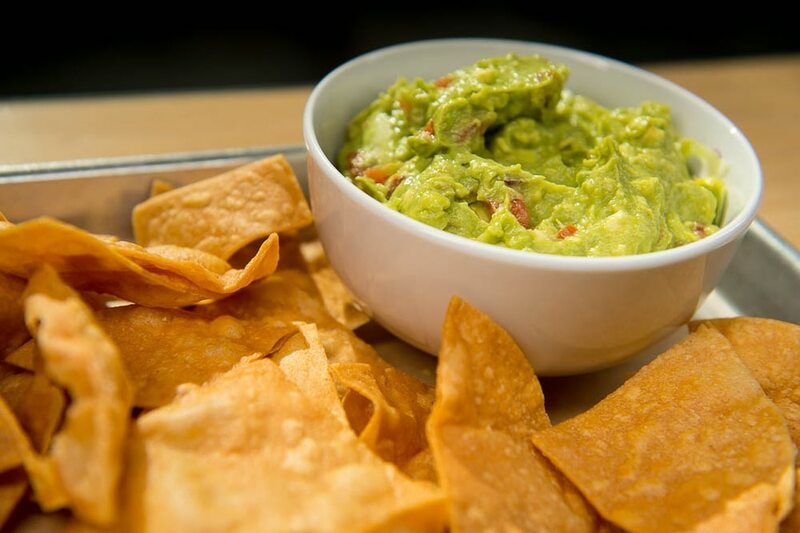 (Trent Nelson | The Salt Lake Tribune) Chips & Guac at Boltcutter, a new vegan/vegetarian restaurant in Salt Lake City, Friday Feb. 16, 2018. (Trent Nelson | The Salt Lake Tribune) The Sin Carne Burrito at Boltcutter, a new vegan/vegetarian restaurant in Salt Lake City, Friday Feb. 16, 2018. (Trent Nelson | The Salt Lake Tribune) The Sin Carne Burrito at Boltcutter, a new vegan/vegetarian restaurant in Salt Lake City, Friday Feb. 16, 2018. (Trent Nelson | The Salt Lake Tribune) Boltcutter, a new vegan/vegetarian restaurant in Salt Lake City, Friday Feb. 16, 2018. (Trent Nelson | The Salt Lake Tribune) Boltcutter, a new vegan/vegetarian restaurant in Salt Lake City, Friday Feb. 16, 2018. (Trent Nelson | The Salt Lake Tribune) Boltcutter, a new vegan/vegetarian restaurant in Salt Lake City, Friday Feb. 16, 2018. (Trent Nelson | The Salt Lake Tribune) Buffalo cauliflower at Boltcutter, a new vegan/vegetarian restaurant in Salt Lake City, Friday Feb. 16, 2018. 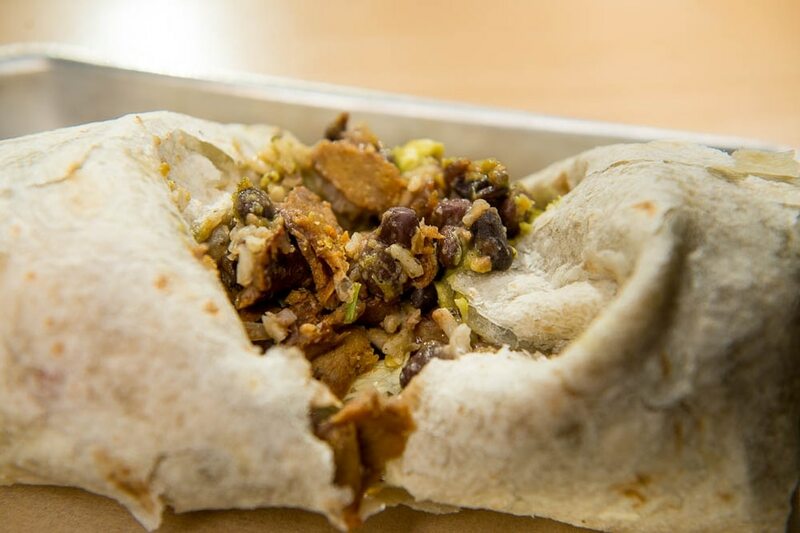 It might not look like much from the outside, but the Sin Carne Burrito at plant-based Salt Lake City restaurant Boltcutter satisfies on every level. For starters, the roll is massive — likely more than you’ll be able to finish in one sitting. Underneath that plain-looking, yet flaky flour tortilla, you’ll find a beautifully marinated asada seitan as well as a salsa verde, pico de gallo and guacamole that add layers of texture and flavor to the accompanying refried beans, brown rice and romaine lettuce. If you like yours with more of a kick, ask for the habanero sauce. Boltcutter • 57 Gallivan Ave., Salt Lake City. Open 11 a.m. to 3 p.m. and 5 to 11 p.m. Monday-Thursday; 11 a.m. to 3 p.m. and 5 p.m. to midnight Friday and Saturday; closed Sunday. For more information, visit http://bit.ly/2nTUMJ7.